Working on vehicles can either be a hobby or necessity, and having the right tools for the job is a must. Of all the parts that you might need to work on, this is most true when it comes to the engine. Without a good engine cherry picker or load leveler to go with it and an extra set of hands, getting the engine out or properly seated can be both dangerous and time-consuming. The following are considered by many to be the best engine hoists and engine hoist levelers on the market. Both engine hoists are 2-ton models, enough to lift 4,000 lbs when the boom is closed and up to 1,000 lbs when the boom is fully extended for maximum lift height. Considering that even large V8s weigh around 600-700 lbs (just the engine), there’s plenty of weight capacity to spare. 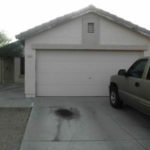 Don’t be tempted by more expensive 3-ton or “heavy duty” engine hoists. 99% of users will never come close to needing that type of lifting capacity. 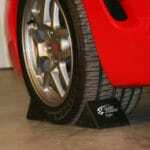 You may also want to consider an engine stand if you have extensive work to do. Dragway Tools has taken a simple concept and gone several steps further to make the best engine hoist possible. 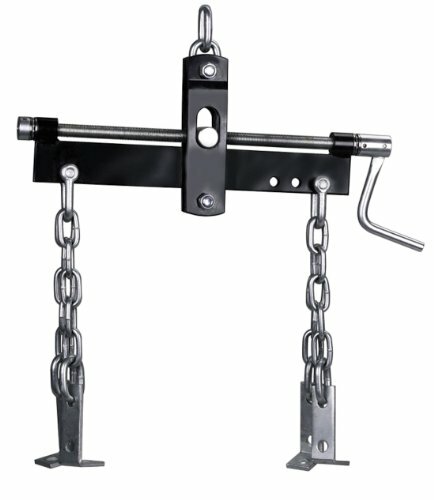 Beginning with compact working dimensions and a boom range of 0 to 102 inches above ground, the boom features a one-foot forged steel chain ending in a 5/16 inch hook. 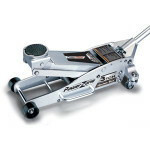 The six 3-inch steel caster wheels allow for easy movement around the workshop. 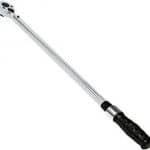 Folded, the length is reduced from 65 inches to 36 inches for easy storage. impressed with how easy the hoist is to control, allowing you to use it with little fuss. 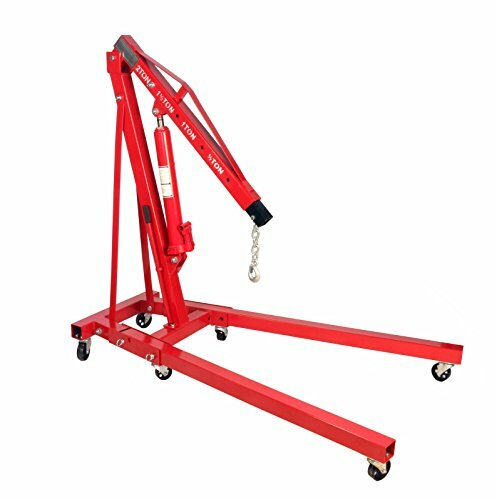 Assembly of the Dragway Tools hoist is simple enough, despite the size and weight. If you were to find one complaint about this hoist, it revolves around shipping. The crane comes in two large, heavy boxes which many consumers have said are poorly packed. 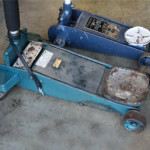 In addition, a couple users who have bought this product have reported receiving what they believed to be a used hoist instead of a new one, often with some damage. 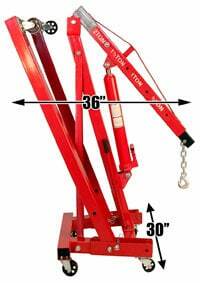 It’s best to make sure you purchase this hoist from a reputable seller and inspect the packages upon delivery. This really applies to any product though. Torin’s T32001 is a folding engine hoist with thick premium steel construction for a long life. Storage is easier than many similar models, as the legs fold up and are held in place by pins. 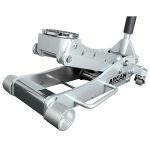 The six caster wheels move independently, allowing for easier movement, while the four-hole position boom makes it easy to line up the shop crane during projects. The lift range of 1 to 78.75 inches is not quite on par with the top pick above but for most vehicles, it’s plenty. 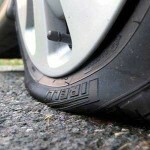 If you find yourself needing a couple more inches, simply deflate your front tires while you remove the engine. 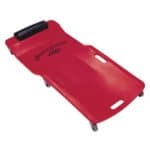 Similar to the Dragway Tools hoist, you’ll appreciate the amount of space saved when folded, unlike cheaper models where the legs swing out to store. Other things the Torin does well is the ease of assembly and its versatility when it comes to what it can hold and for how long. 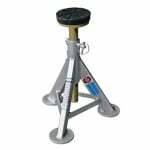 If you’ve previously owned another type of hoist or engine jack, you most likely will find the construction on the Torin is much better. 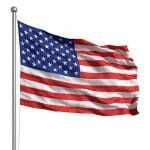 Steel is thicker and welds are stronger. 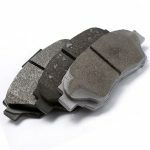 As with many heavy products on the market, users have frequently complained about poor packaging. In some cases, the product has arrived with small parts missing. For others, the paint has been chipped during transit. Again, make sure you’re buying from a well known reputable seller and you shouldn’t have any issues. Having a load leveler on-hand to help with lifting engines or other large objects makes a huge difference, and the 4305 by OTC is arguably the best engine load leveler out there. 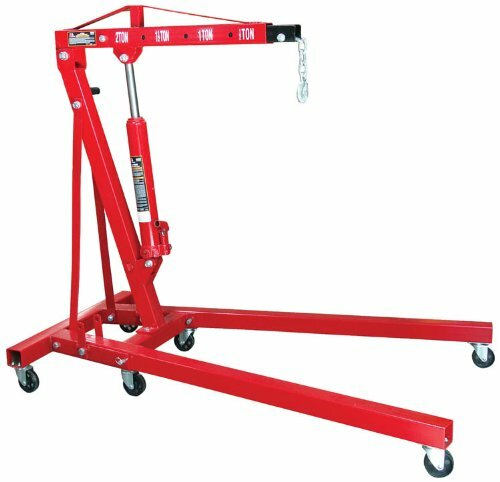 By attaching this 1500 pound capacity leveler to your crane or hoist, you can effectively lift objects which are large, bulky, and non-symmetrical. The horizontal tilt allows you to adjust the leveler to accommodate loads with an off-center balance, as well as modify the angle of the object when positioning or installing. 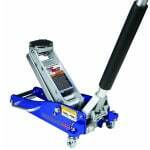 There’s a lot to love about the 4305 engine hoist leveler. 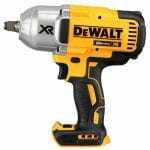 The hand crank turns easily, allowing for quick adjustments whether loaded or empty. Owners of this leveler have also noted excellent results when used for a wide weight range of engines and other heavy items. 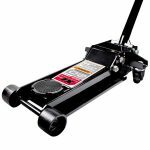 The OTC leveler is sturdy enough to allow work while a component is suspended, or may be used to easily seat the object, greatly reducing the amount of time and effort many owners needed to spend on a project. Users have only had one main complaint about the OTC model. While perfectly adequate for most jobs, the chains are too short for some larger engines or components. Some users have purchased additional chains to solve this problem. 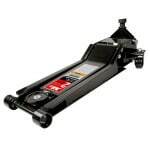 Should You Repair or Replace Your Floor Jack?